A committee has found that local governments lack the capacity to develop and implement long-term financial plans under the Victorian Government’s rate capping policy. In their latest report, the Environment and Planning Committee has made seven recommendations after submissions from and hearings with a range of local government representatives. 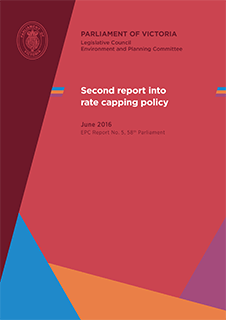 The Essential Services Commissioner to investigate the most effective and simple way for rate cap variation applications to be submitted. “It’s important that the Victorian Government listen to the views of local councils in relation to the way the rate capping policy is working,” said the Committee Chair, the Hon David Davis. “One of the particular concerns raised in our report is that, under a rate capping environment, local government support for the State Emergency Service may be affected,” Mr Davis said. The Committee has called on the State Government to provide certainty to local government on whether the sector will need to cover the costs of the Fair Go Rates system. It has also recommended that the Essential Services Commissioner clarify its advice to councils regarding responsible use of debt. “This is the second six-monthly report by the Environment and Planning Committee,” Mr Davis said.